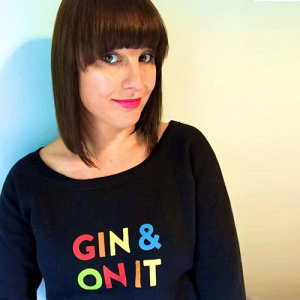 Aimee is from Lincoln, where she enjoys drinking gin and spending time with her family (and she won’t tell you which of those she prefers doing). As a child, one of her favourite parts of the summer holidays was to devour all the books in a little book shop in Devon. She continued reading at lightning speed right up until having children. She now reads with eyes propped open by match sticks. She is represented by Julia Silk and currently working on a novel exploring the truth behind the filter of social media for two women whose lives converge in surprising ways. Aimee’s first book ‘Perfect Mayhem‘ was originally self-published a long with two others, before being re-published by Velvet Morning Press in 2015. You can hear Aimee’s latest news by signing up to her newsletter here. @sammanfa 😂 it’s going to be a long day!